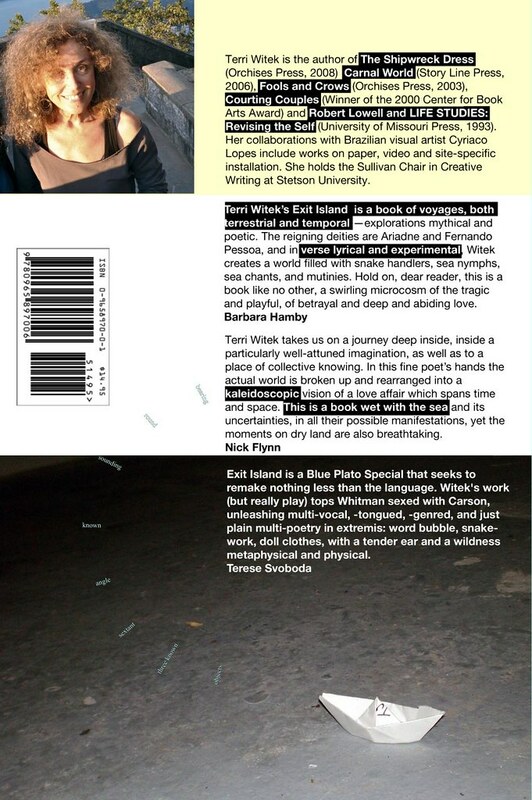 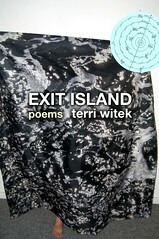 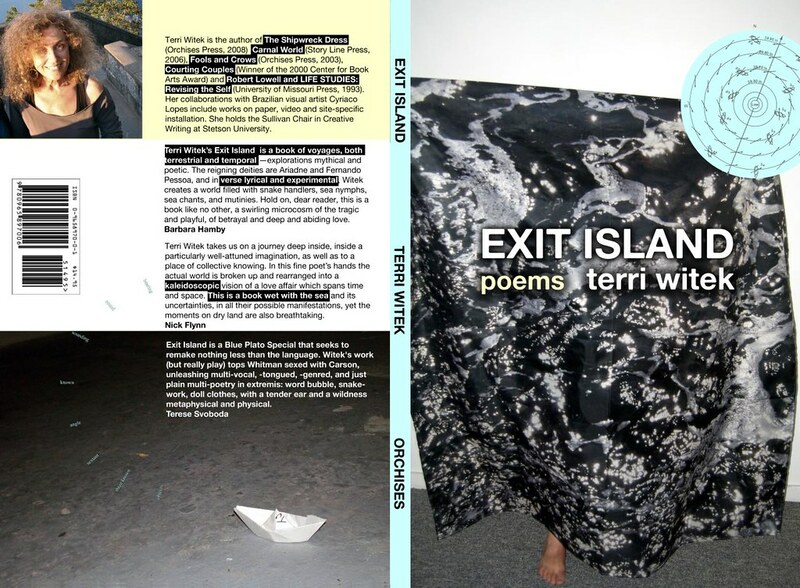 The suite of seven images on coated stock was created by Cyriaco Lopes in response to Terri Witek’s The Shipwreck Dress and Exit Island. 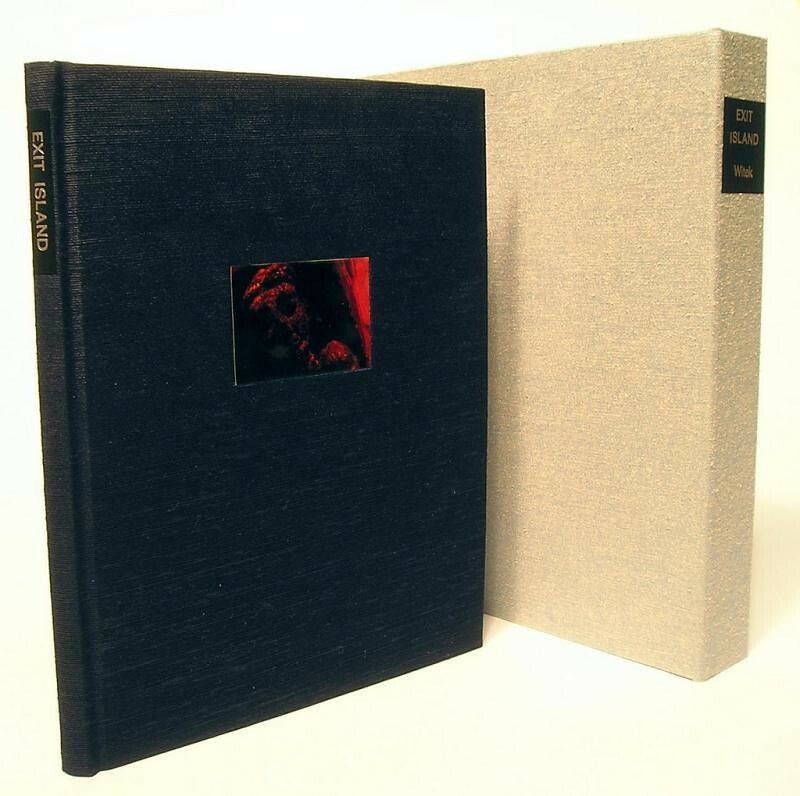 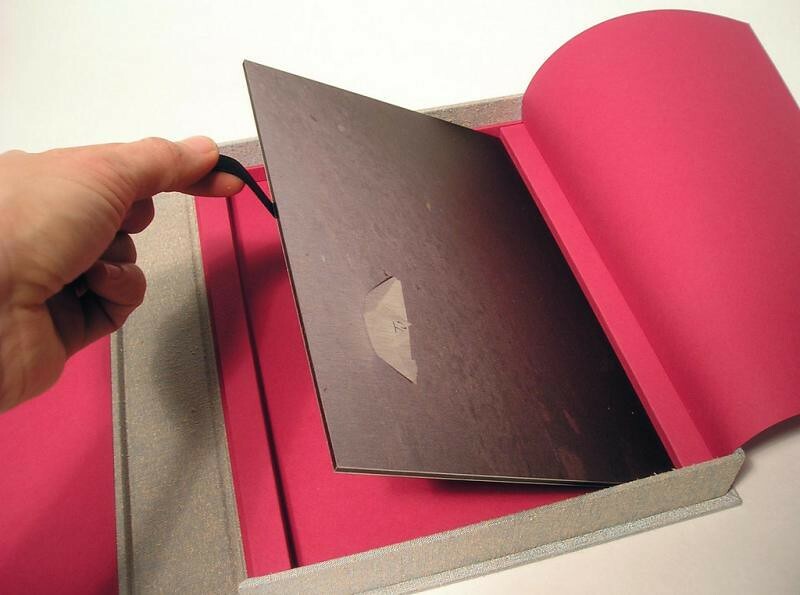 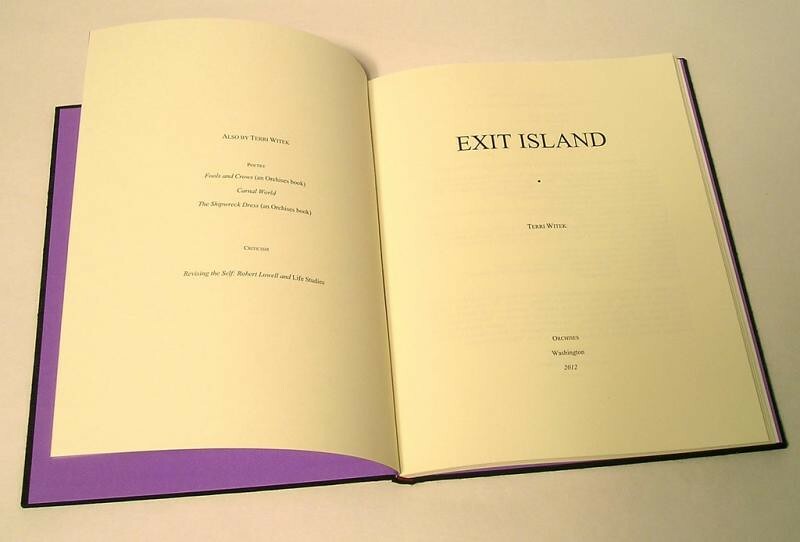 Twenty-six hardcover copies of this book, bound by book artist Amy Borezo, lettered A through Z and signed by the author and artist, are available from Orchises Press. 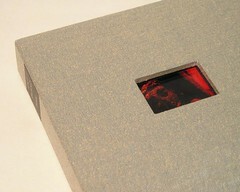 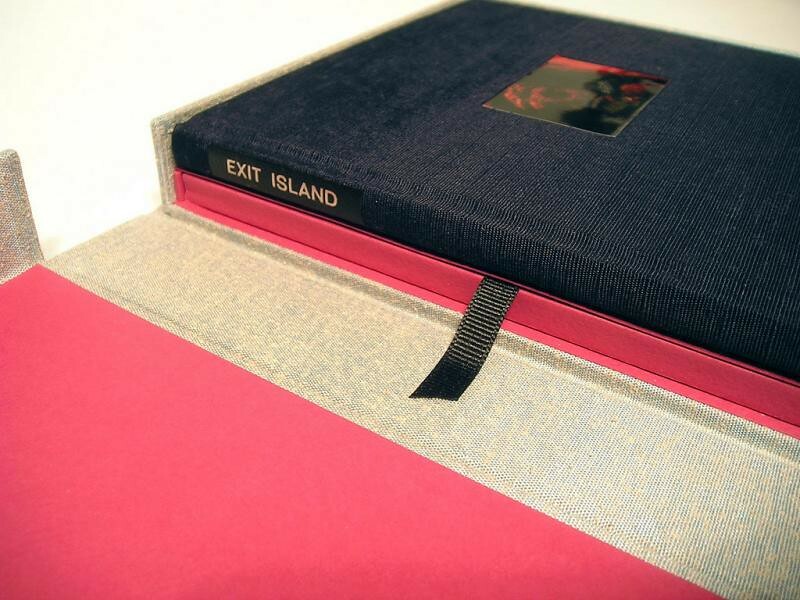 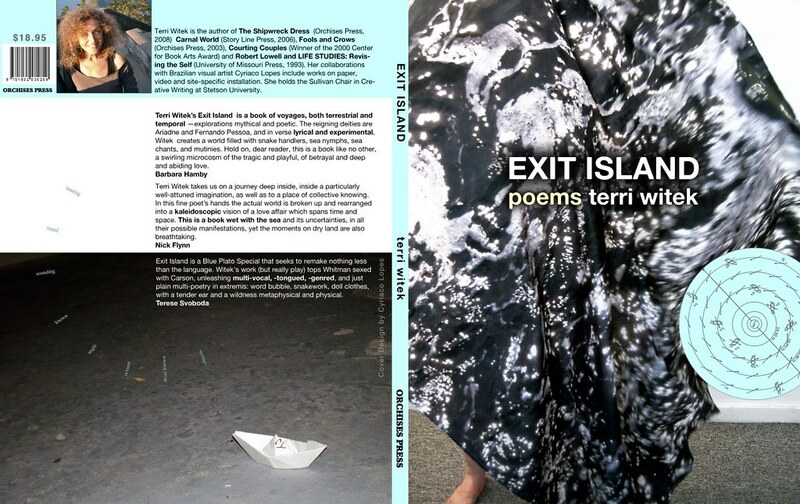 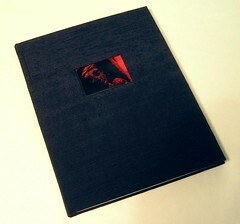 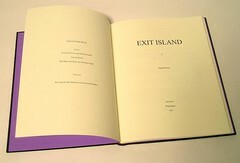 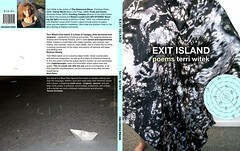 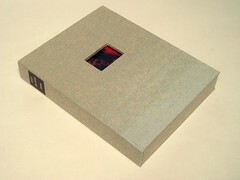 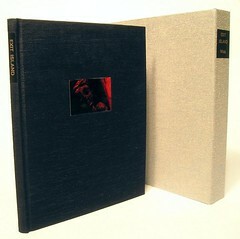 Each volume contains one color image from Exit Island suite printed on aluminum.